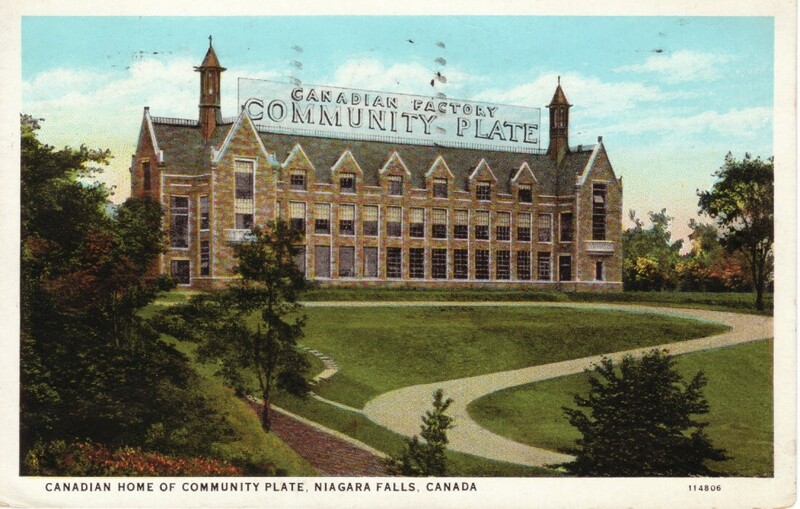 The heirs of the Oneida Community made beautiful, high-quality silver. They also promoted it in a competitive market using a innovative techniques. 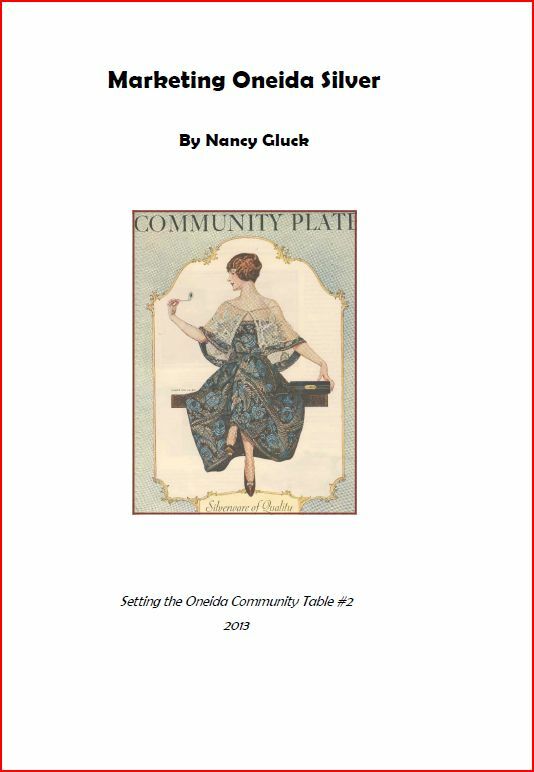 This booklet has been adapted from a chapter of The Community Table (now out of print), to which I have added more images, many in color. 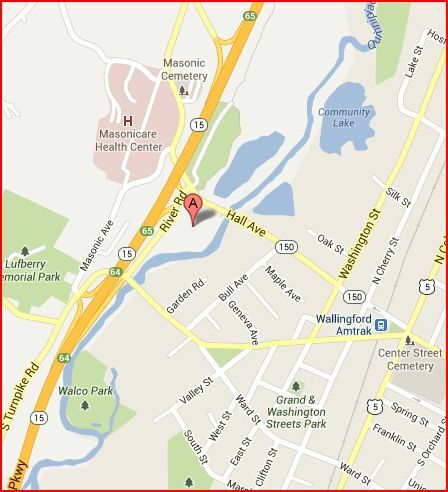 My former page The Oneida Community was based on information contained in my book The Community Table. That book is going out of print, but I would like to keep the information available for collectors — without the need to print and mail copies. I am breaking it up into booklets and adding more pictures and more color. 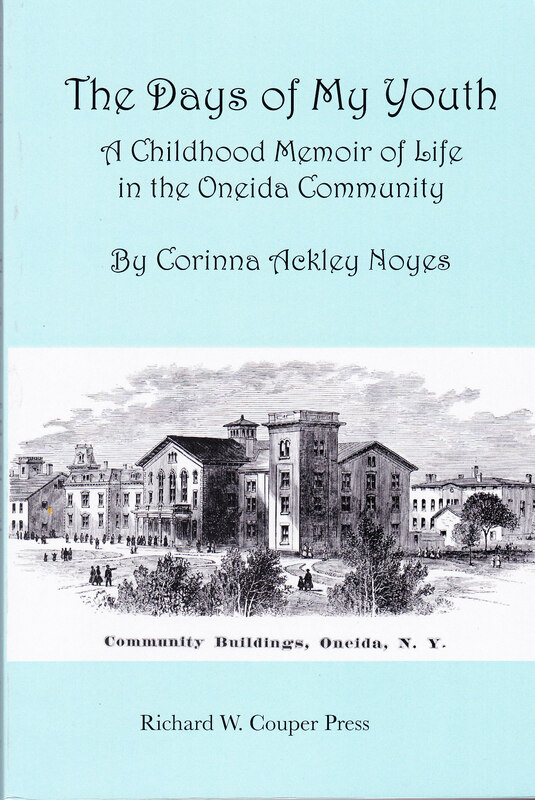 The first result is a digital booklet summarizing the history of Oneida, with many illustrations. For 20 years I bought and sold American silverplated flatware, then moved on to research and write about some of my favorite patterns and companies. I self-published books and maintained a website. I’m not providing the link to the website because I am transferring most of the information to this blog, after which I will discontinue the separate site. 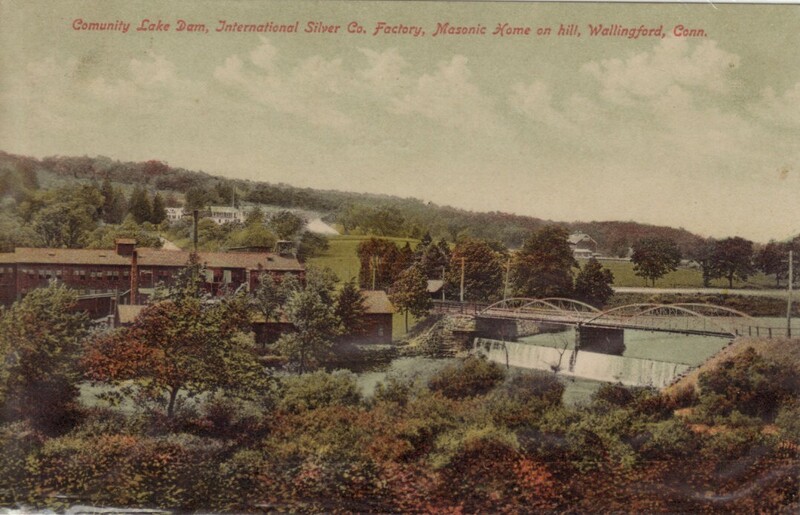 Silver manufacturing was an important industry in the eastern U.S. between 1850 and 1920. It is a piece of our past which I have enjoyed helping to preserve. I invite you to take a look at some of my pages under the heading American silverplate. The picture at the top of this page shows the “1847 Girl,” an important symbol used by the International Silver Company to emphasize their genteel origins. 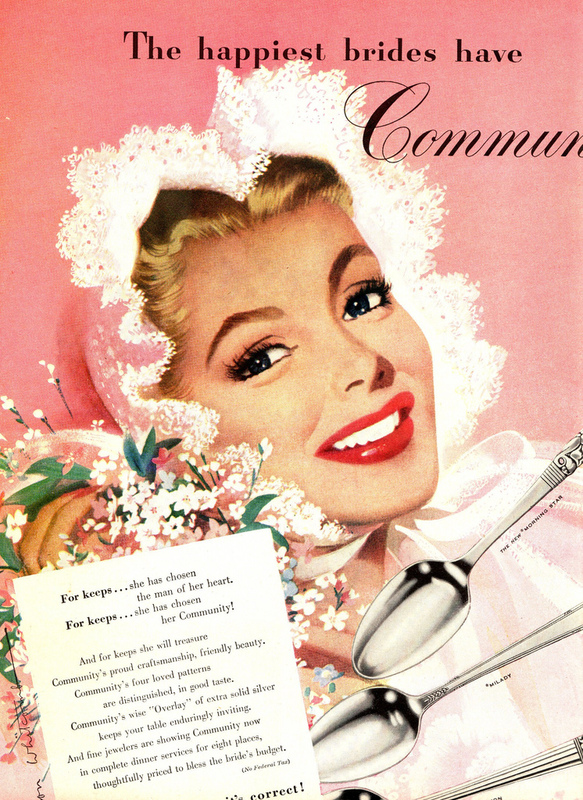 By 1948 — 100 years later — the advertising image below shows a livelier spirit, although the image is still a romantic one. Who could resist this very deco lady! 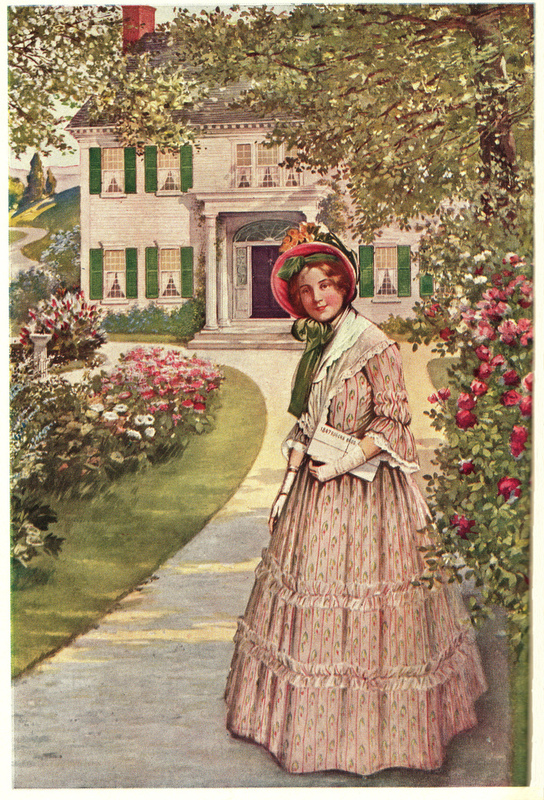 She lives behind the plain brown cover of a Silverware Catalog issued in 1930 by J. W. Johnson (wholesalers?) of Maiden Lane and West 47th Street, New York. I bought the catalog years ago and have used it as a source for several of my books about American silverplated flatware and hollowware. When American companies designed, manufactured and sold their own products, they presented them with pride, affection and style. It has been pure pleasure getting so much information mixed in with design. So time to move on. Before I sell the catalog, I am scanning some of the pages and uploading them to Flickr for other collectors to enjoy. Planning to part with my collection has finally motivated me to upload other Silver Documentation also.